Step-by-Step Video for these teff brownies above! When it comes to defining characteristics of sweets like brownies, chocolate chip cookies, pancakes, I find everyone has their own preferences. 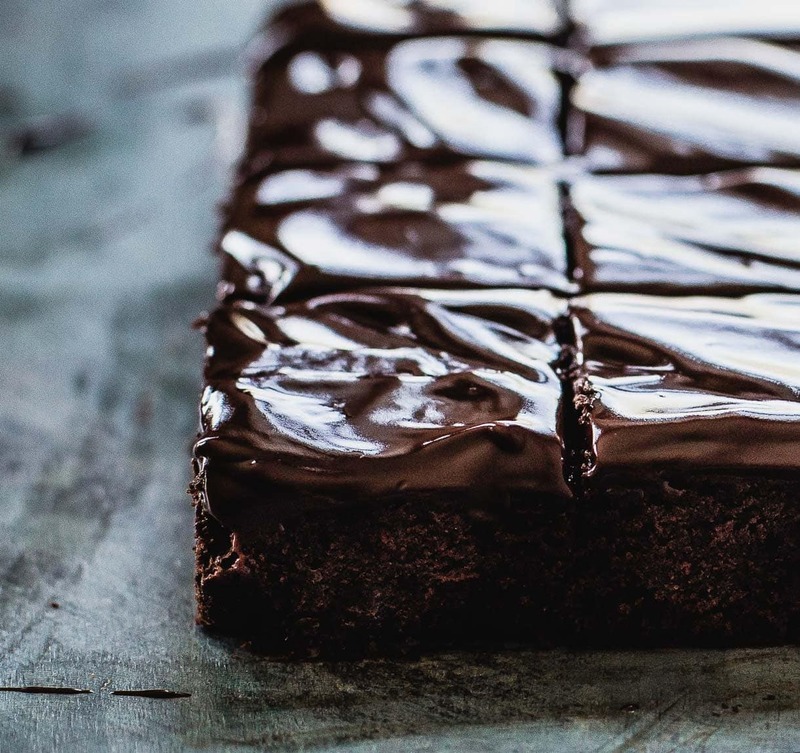 I‘ve baked dozens of pans of brownies to develop the gluten-free brownie I love most: one that is fudgy, with height so you can sink your teeth into the squares, but not cakey. 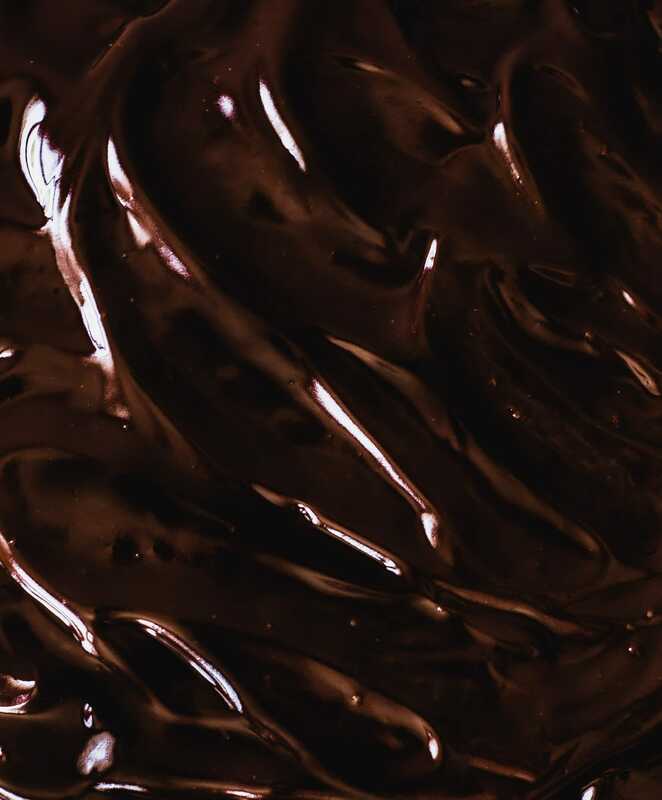 A dark cocoa batter that has just enough sweetness to make it dessert, and strong enough to hold a frosting or ganache. So this is my tried and true, favorite brownie, with vegan ganache (made with coconut milk!) poured over the top. And while I shared the same base brownie recipe a while ago, it was adorned with whipped matcha frosting. Incredibly delicious, however I know matcha isn’t for everyone. But rich, chocolate ganache? I’d bet 10/10 would say a definitive yes. 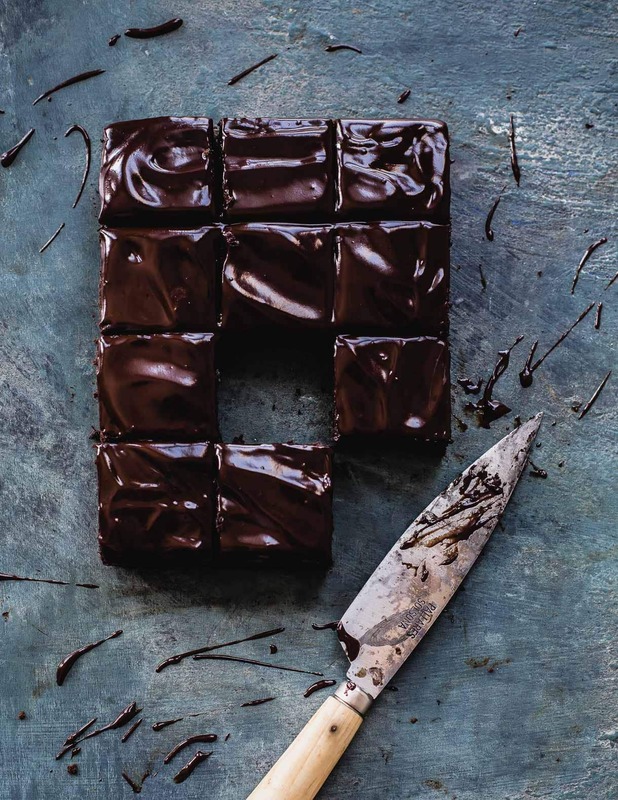 Teff flour gives these brownies a toasty, malty flavor, and is key to the structure because when teff hits moisture (eggs and butter in this recipe), its starchy component is triggered, giving it great binding power compared to other gluten-free flours. With the addition of ganache, they’re luxuriously rich. 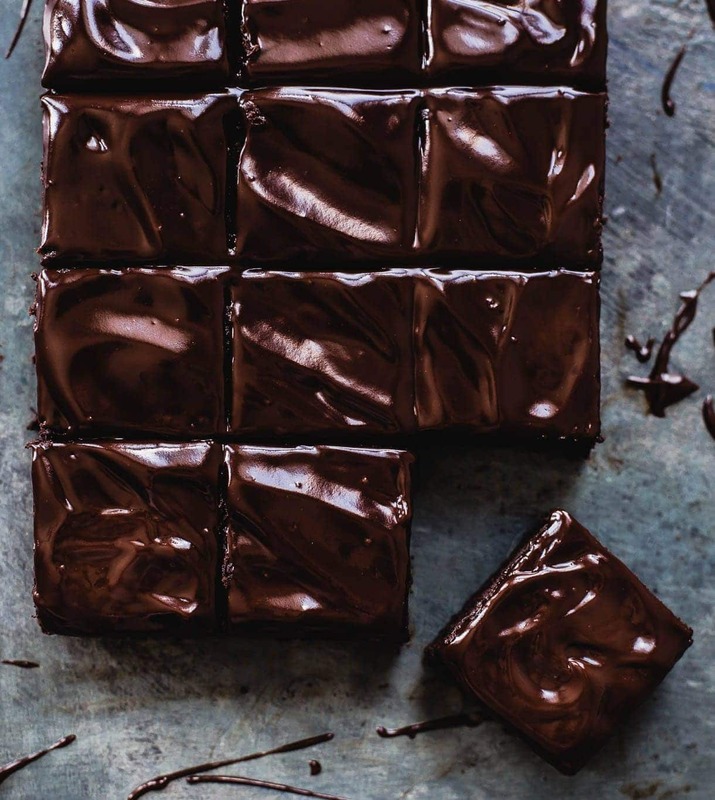 Not in a sweet way, but more of a decadent, “better than any boxed brownie you’ll ever make” kind of way. And the best part? You’ll only need two ingredients to make the magical ganache, that goes well on ice cream, cakes, and waffles too. They’re a chocolate lovers dream. 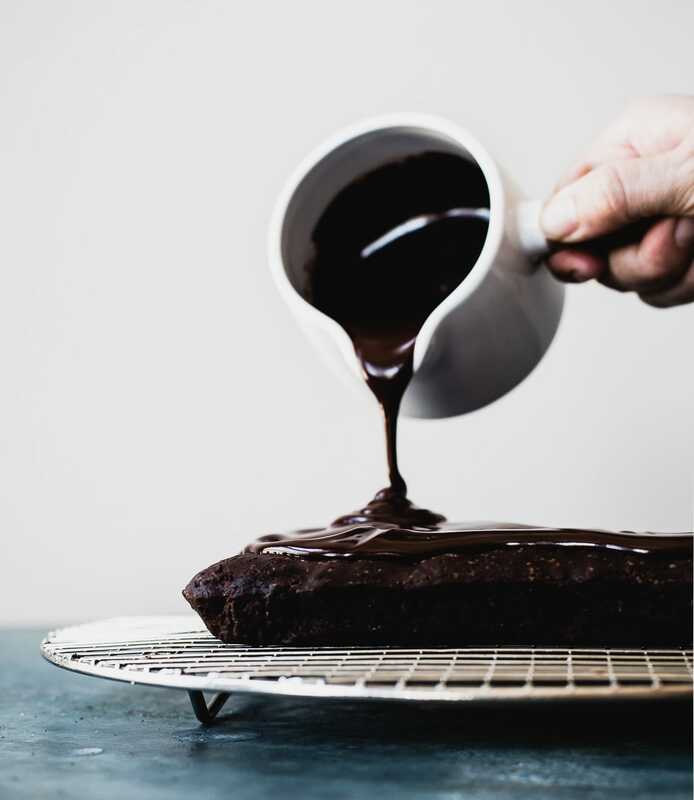 If you make these brownies with vegan ganache, be sure to tag me on instagram with hashtag #heartbeetkitchen, or @heartbeetkitchen! Melt chocolate and butter on low heat over the stove until just melted and smooth. Remove from heat and whisk in sugar, for a minute. Test with your finger to make sure it's not too hot, then whisk in eggs, one at a time, whisking as you work. Stir in cocoa powder, teff flour, baking powder and salt. Whisk until no flour streaks remain. Pour into a parchment lined 8 x 8 baking pan, and bake at 350 degrees for 20 minutes, until toothpick comes outs just clean. Let cool for five minutes in pan on a wire rack, then remove from pan and let finish cooling on the rack. While brownies are baking, Pour coconut milk and salt into a pa. Over medium hit bring coconut milk to just under a boil, steaming heavily, with little simmer bubbles around the edges. Place chocolate in a bowl. Pour the coconut milk on top and let sit for about 5 minutes until the chocolate is soft. Gently start to stir in a figure eight motion. (This is important, and prevents air bubbles, which are hard to get rid of and will disrupt the smooth, silky texture. 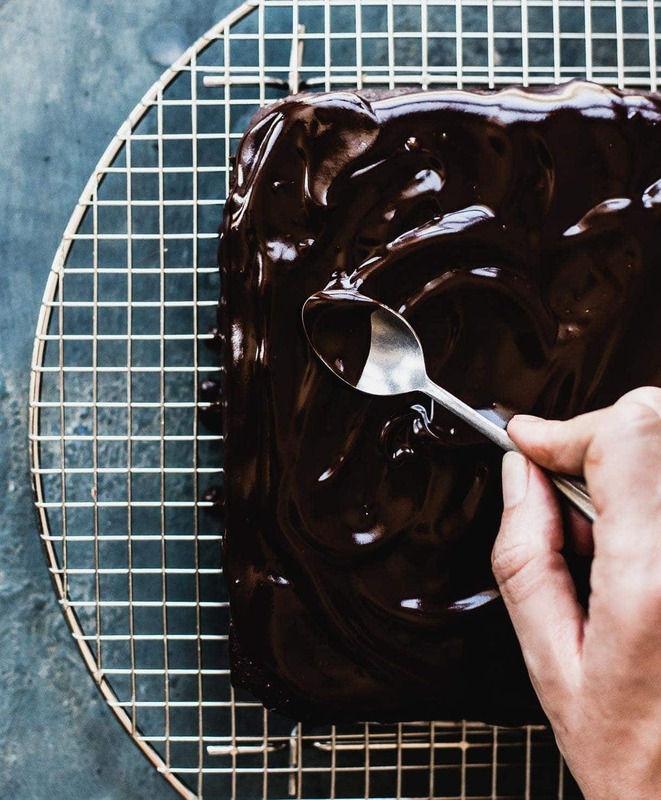 Do this until chocolate is fully incorporated and the ganache is smooth and silky. That's it! Ganache recipe originates from Epicurious, HERE. These look to die for! That chocolate ganache shot makes me want to lick the computer screen. You introduced me to teff flour last year ( i had never heard of it before) but I love baking with it now! So beautiful. I want to jump right in and devour all that luscious chocolate! It’s like I’ve died and gone to chocolate heaven! I need these in my life!